CSA Chicane is a stunning new 10 spoke wheel available in two finishes. The Chicane is available in 17x7.5, 18x8, 18x9, 19x8 & 19x9" sizes. CSA Chicane is a stunning new 10 spoke wheel available in two finishes (Gloss Black Machined Face or Gunmetal Machined Face). Chicane is available in 17x7.5", 18x8", 18x9", 19x9" sizes. 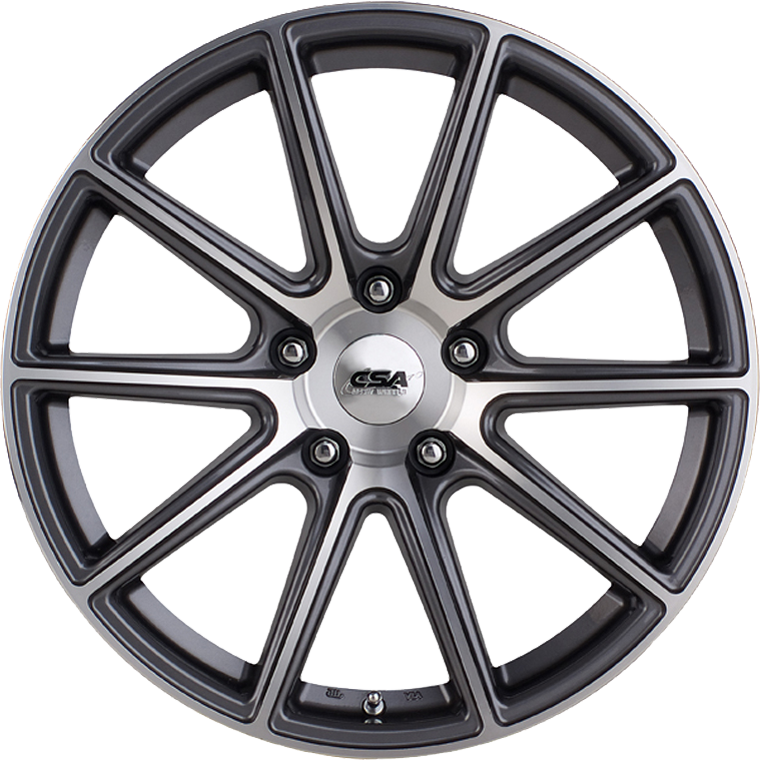 Chicane in 17x7.5" size suits all popular front wheel drive vehicles including Ford Focus, Holden Cruze, Subaru and VW Golf and more. Chicane is available in staggered set combinations of 18x8" front with 18x9" rear and 19x9" rear wheel sizes. These staggered sets suit both Commodore and Falcon. Load rated at 850 kg in 18" plus sizes, Chicane is suitable for most large car, SUV & ute applications.